Definition: Malaise (/məˈleɪz/ mə-LAYZ) is a general feeling of being unwell, either emotionally or physically, or a combination of the two. The word has existed in the French language since at least the 12th century. Almost any medical or emotional condition can bring on feelings of malaise. Malaise can also cause a sense of discomfort in the body and a feeling that all is not well with the body and there is some kind of illness that is bothering the individual. Malaise is most often than not accompanied by fatigue and lethargy and not being able to do basic tasks of daily living. Malaise may cause an individual to stay in bed for a lot of time due to a general sense of being unwell. Long-term (chronic) conditions, such as anemia (low red blood cell count) or hypothyroidism (underactive thyroid), may cause malaise in addition to such conditions as infections, cancers, arthritis, kidney diseases, lung diseases, or other illnesses. Short-term (acute) conditions, such as a urinary tract infection or viral respiratory infection, may also lead to malaise. 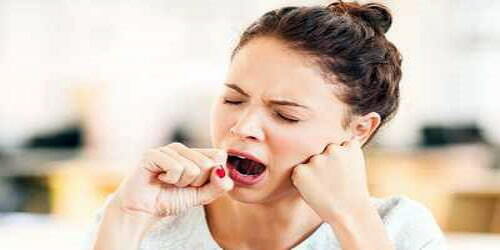 The exact cause of Malaise is difficult to determine unless an accurate diagnosis of some other medical condition causing Malaise is made, as there are a lot of medical condition with malaise as their presenting feature but once the underlying condition is diagnosed then formulating a treatment plan is easier and it becomes easier to get rid of Malaise. It often occurs with fatigue and an inability to restore a feeling of health through proper rest. Causes, Signs, and Symptoms of Malaise: Malaise is a non-specific symptom and can be present in the slightest ailment, such as an emotion (causing fainting, a vasovagal response) or hunger (light hypoglycemia), to the most serious conditions (cancer, stroke, heart attack, internal bleeding, etc.). Malaise is a classic presenting feature of different types of arthritis like osteoarthritis and rheumatoid arthritis along with pain and discomfort. Certain medications may not cause Malaise when used alone but may cause it when used in combination with some other medications. Another important cause of Malaise can be alcohol and recreational drug abuse withdrawal. When an individual stops alcohol or recreational drugs then he or she may develop Malaise as the body does not get its usual share of the drug or alcohol. Malaise may accompany other symptoms that vary depending on the underlying disease, disorder or condition. Since the cause of Malaise is difficult to determine as it can be caused due to many reasons hence it is important to be forthright with the treating physician about the symptoms as what can probably cause Malaise so that it becomes easier for the physician to come to a conclusion as what may be causing Malaise and then formulate a treatment plan accordingly. Diagnosis and Treatment of Malaise: The doctor will perform a physical examination. They’ll look for an obvious physical condition that could be the cause of the patient’s malaise or could give clues about its cause. The doctor will also order laboratory tests like CBC, ESR or CRP to find out if there is any infection that may be causing this Malaise. Radiographic studies in the form of x-rays, CT scans, and MRI may also be done depending on the other associated symptoms apart from the Malaise to identify the cause of Malaise. Malaise is not a condition in and of itself. Therefore, treatment will aim at addressing the underlying cause. It’s impossible to predict what this treatment will consist of because malaise can be due to a wide variety of conditions. Have a calm and relaxed mind. Since Malaise can be caused due to many conditions it is difficult to pinpoint as to what preventive measures can be taken to keep Malaise at bay but what an individual can do is make a note of what triggers Malaise and what measures are taken to keep them at a low level so that the individual is able to complete tasks given to him or her without much difficulty and be active despite experiencing Malaise.